News about Jugger around the World. I think the best place to start is a quick introduction of who we are and what is happening with Jugger down here. First of all for anyone who might not be geographically gifted Australia is in the bottom bit of the world some 15,000 Km from Germany the centre of all things Jugger. If you have a look at the pretty map of the World the two red arrows down the bottom are where you will find the Australian Juggers. Jugging in Australia has been played since about 2000 and was started by Gavin Ellis on the Gold Coast in Queensland, near the top red arrow and was played there on and off until 2003 when it was moved to Brisbane. In 2006 the Melbourne Juggers started playing under the watchful eye of Tony who has now had the fun of organising Jugger for just over 12 months. Brisbane and Melbourne both host regular games and we are gradually increasing the number of people who know about and play this great sport. The rules we use are a little different to the version of the game played in Germany – we are busy reading over the rules to learn them in time to send a team over to Berlin next year. This December will see our first interstate Jugger meet, again for those unfamiliar it is about 1300 Km from Melbourne to Brisbane, which makes travel between the groups something of a major event. By continuing on this website, you agree to our GDPR/Privacy Statement (same as on fuelratart.org until we solved a tech issue). ... they play with a sledgehammer in Australia? 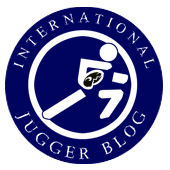 This is the first Weblog co-operation of international Juggers. The author of an entry is responsible for its content and for keeping an eye on the comments, removing inappropriate ones and contacting the moderators, if necessary. All work on this blog is done without payment. This is not a professional journalistic platform. Beiträge in diesem ersten Jugger-Weblog nach und von uhusnest geben nur die Meinung des jeweiligen Autors/der jeweiligen Autorin wieder. Ihre Inhalte macht sich das Blog-Team nicht zwingendermaßen zu Eigen. Gleiches gilt für Links. Die Rechte an Beiträgen und Bildern liegen bei deren Schöpfern. Die Verantwortung für die Moderation der Kommentare liegt bei dem Verfasser/der Verfasserin des jeweiligen Eintrags. Dieses Weblog ist eine nichtkommerzielle Präsenz, die von den Autoren/Administratoren in ihrer Freizeit unentgeldlich betrieben wird. Alle Beiträge geben die Meinung der jeweiligen Verfasser, nicht zwingend die der Weblogbetreiber wieder. Wir setzen Links nach bestem Wissen, können diese aber nicht regelmäßig prüfen und haften daher nicht für verlinkte Inhalte. *) Trotz V. i. S. d. P. stellt das Weblog keine journalistischen Ansprüche.